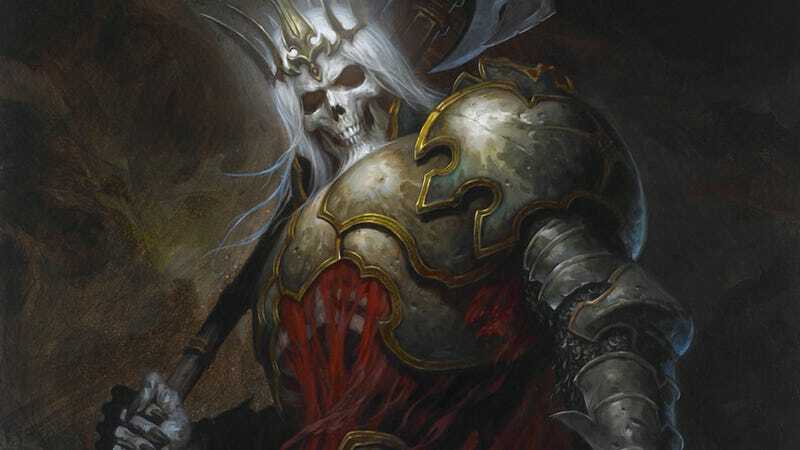 Diablo III's release was eagerly anticipated in South Korea. The country has always been a strong Blizzard bastion. But several months after its release, the game's popularity is now on the slide in South Korea. Or is it? One of the country's most authoritative online game ranking sites, GameNote, revealed that Diablo III has plunged eight spots in the weekly rankings to 11th place. This means that Diablo III is no longer in the top ten, which is dominated by League of Legends in first place, Blade & Soul in second, and FIFA Online 2 in third. The latest rankings suggest that despite the belated move by Blizzard, a growing number of Korean users are deserting Diablo III, whose content remains the same. The absence of new content in the past two months since the high-profile launch seems to have left a number of players doing repetitive item hunting or going through the same courses again and again. GameNote apparently uses home computers for its metrics—as opposed to Gametrics, which uses PC bang (net cafes) for its data. While Diablo III has fallen out of the top ten on the GameNote charts, it's number four on the Gametrics chart. The "true" ranking is probably somewhere in between.